Gottfried Silbermann (1683 –1753) built organs, clavichords, harpsichords and fortepianos. His father was a carpenter in Kleinbobritzsch who later moved to Frauenstein, where, as it was common at this time, Gottfried learned the family trade. He studied organ making in Strasburg from 1702 until his return to Saxony, where in 1711 he established his own organ workshop in Freiberg. In 1723, when Silberman finished his “Grand Organ” in Freiberg Cathedral, Frederick I gave him the title of “Königlich Polnischen und Churfürstlich Sächsischen Hof- und Landorgelmachers.” During his life Silbermann built more than 50 organs, including the great organ in Hofkirche Dresden. Gottfried Silbermann is famous for building the first German fortepiano in 1732, which he did following a description by Scipio Maffei of Christofori’s “gravicembalo col piano e forte”. Frederick the Great purchased several of Silbermann’s fortepianos, which he used for his own performances on flute, accompanied by CPE Bach at the keyboard. When J.S. Bach visited his son in Potsdam in the 1730’s, he criticized the Silbermann piano, saying that the treble was weak, and the keys hard to play. 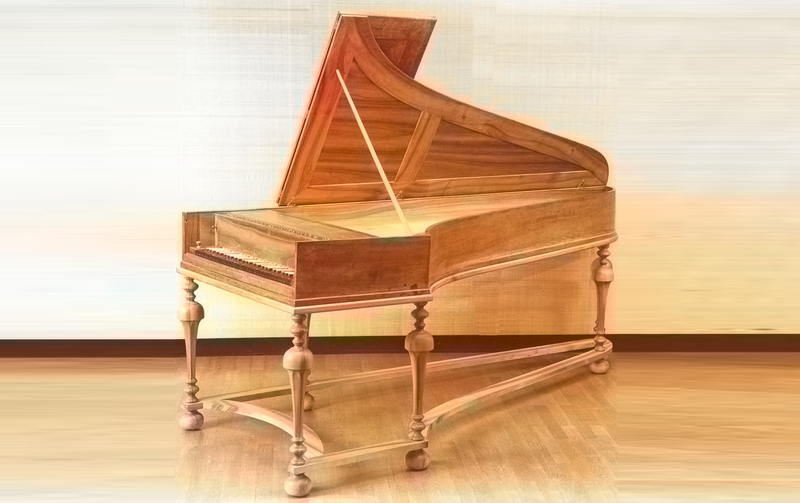 At Bach’s second 1747 encounter at Sans Souci, the Silbermann piano met with his approval. Paul McNulty’s copy of Gottfried Silbermann’s 1749 instrument, from the Germanisches Nationalmuseum Nuremberg, represents the final stage of Silbermann’s development of the Cristofori design.